Paint or Stitch some beautiful flowers with our flower pattern collection. Pattern includes complete painting instructions for the beginner. 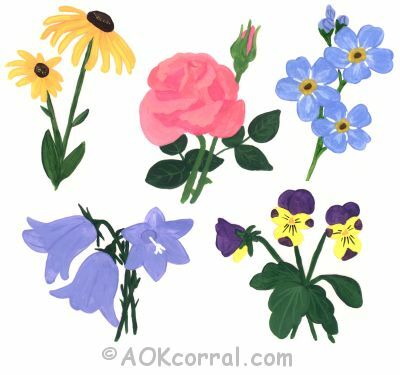 Bonus: The Easy print version contains patterns for all 3 sizes of each flower and painting instructions. To learn how to paint the patterns in this project just click on the flower name of your choice below to open up the painting instruction page. These patterns would be great to use on wood painting projects, embroidery projects, signs and more. *This version includes all flower patterns in 3 sizes each as well as the painting instructions.